After receiving almost 1000 entries it is safe to say that all of us at Washington Energy Services were excited for the drawing of the Rheem® tankless water heater winner. In early March, we were able to inform Bob and Edie G. of Kent, WA that they were the lucky winners of the random drawing. 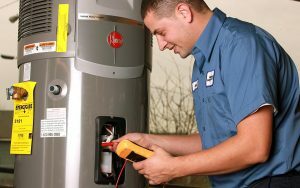 I would like to discuss replacement water heater options for our current gas water heater for our home in Seattle, WA. Our current 50 gal. water heater is located in a constrained space; it is about 20 years old and thus not insulated per code today. 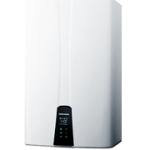 We would like to get quotes for a new gas water heater and to discuss the possible options for a tankless system. Someone from customer care will call you regarding quotes for a new gas water heater, and also, possible options for a tank-less system.